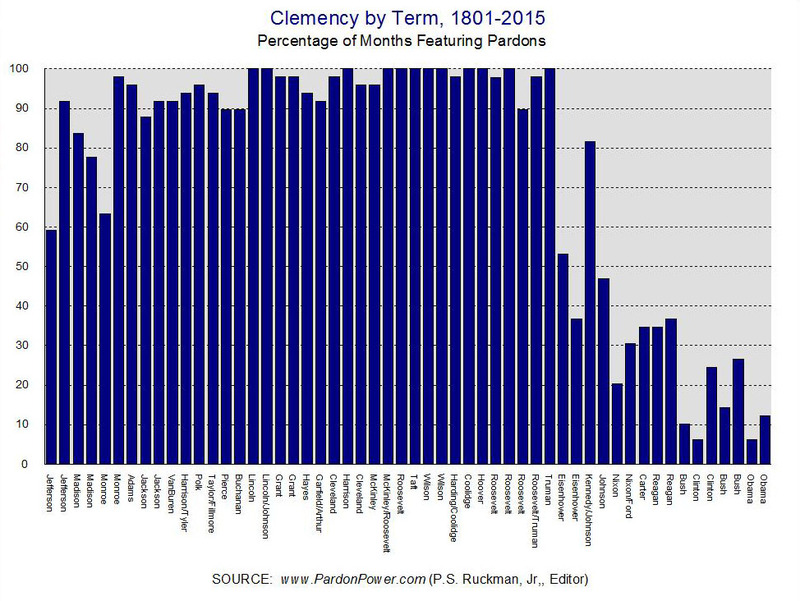 Chart B: Bill Clinton set a record for the highest number of months in a term without the granting of a single pardon (46). 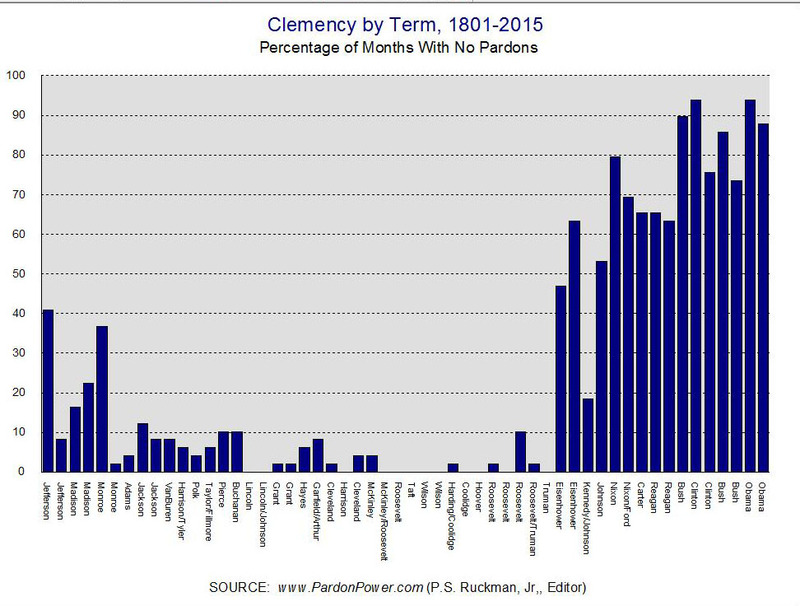 Amazingly, that record was tied in Barack Obama's first term. 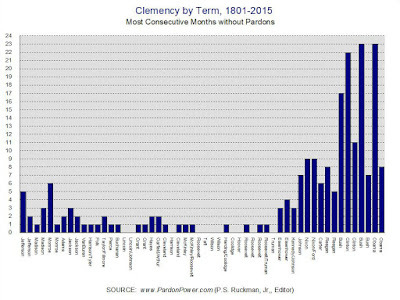 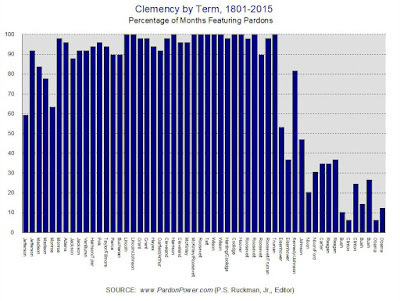 Chart C: George W. Bush's first term was notable for the highest number of consecutive months without a single act of clemency (23). 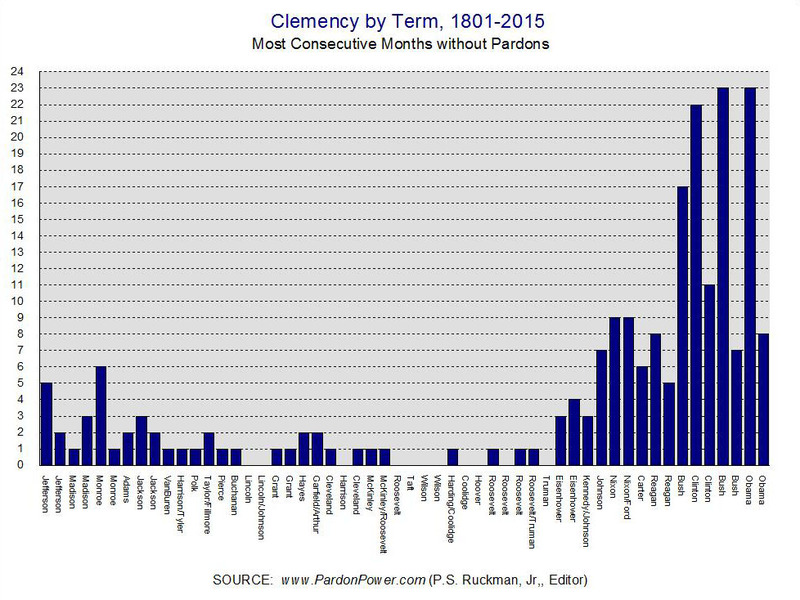 The record was immediately tied by Barack Obama. 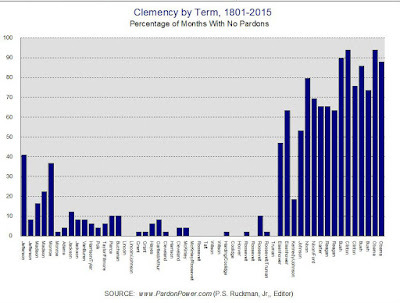 The Editor will update these charts / generalizations (by adding Washington and Adams) in a future post.